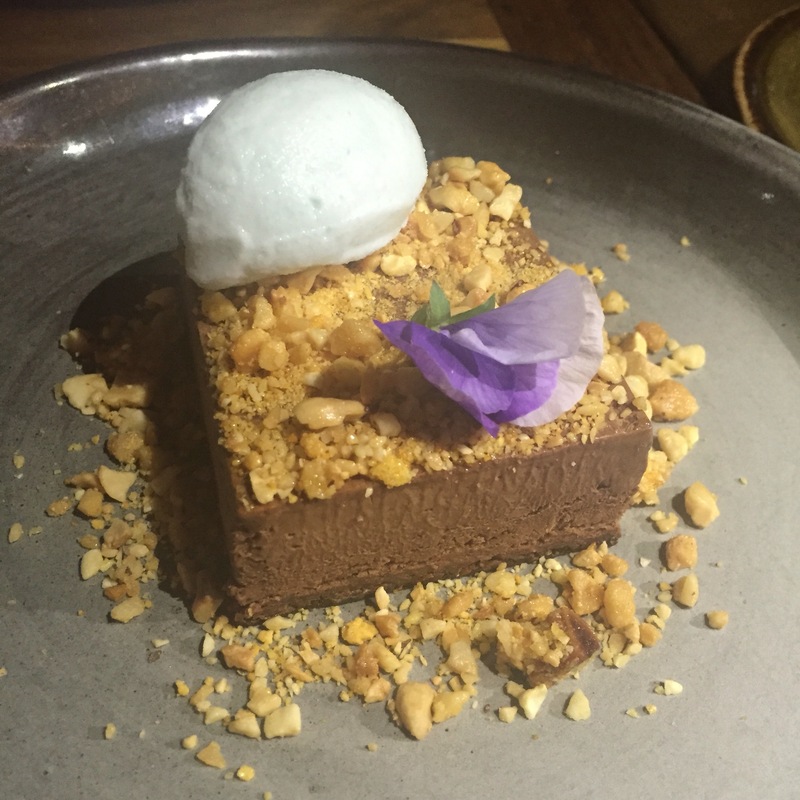 This review is based on two visits over two months to the beautiful Taxi Kitchen above Transport in Federation Square. 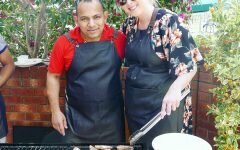 I attended Taxi on a weekday evening with some other food bloggers a couple of months ago, then visited again last week for a weekday lunch with a friend. Location wise, Taxi is a dream. In bustling Federation Square overlooking the Yarra River and the Southbank shoreline, the view is epically beautiful both during the day and at night. 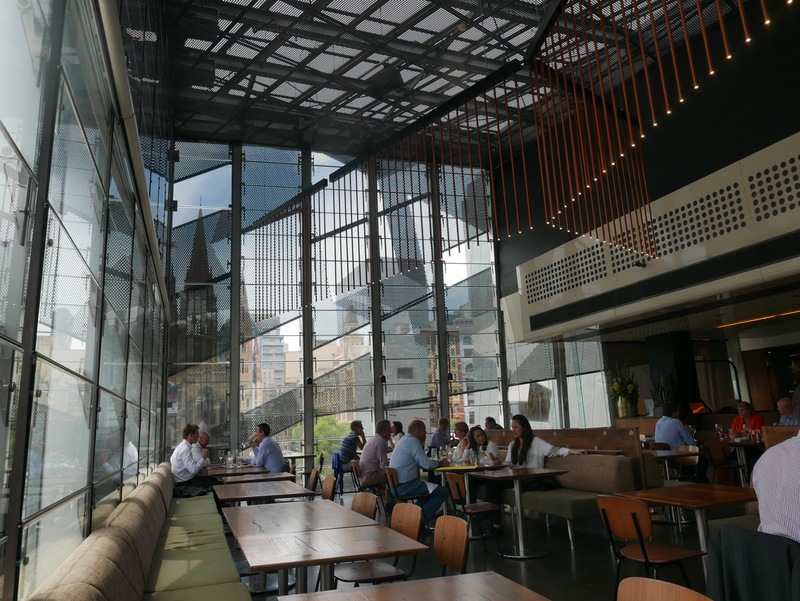 The light filled windowed space is accessible for a variety of people- tourists checking out Melbourne, a family dinner, a business lunch, dinner and drinks with the girls, a family dinner; the list is endless. 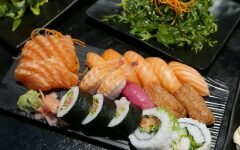 The innovative menu is elegant but fairly reasonably priced, and would be accessible for most diners on a mid-range budget. 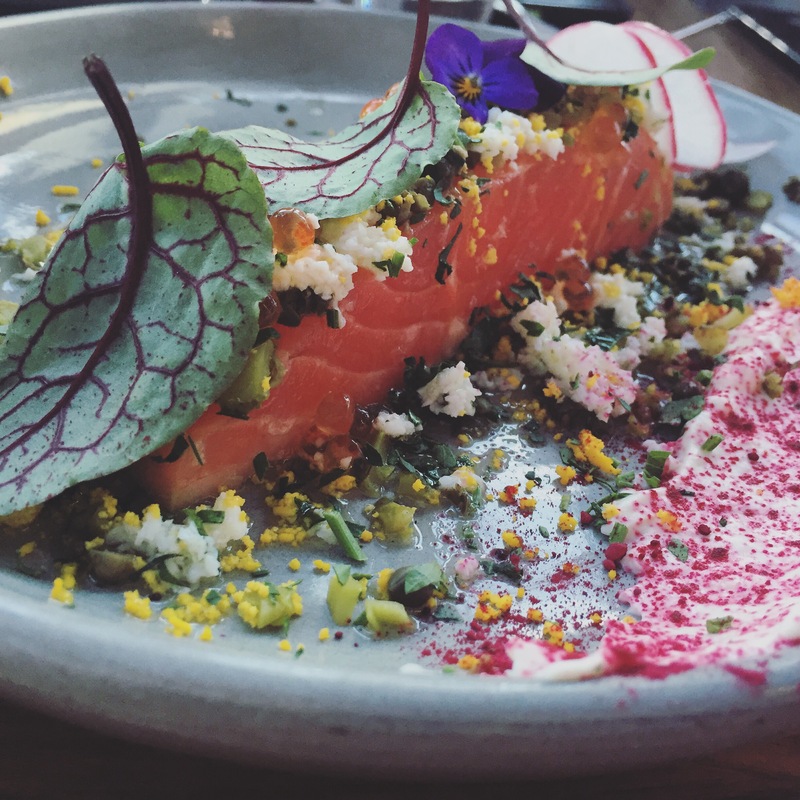 The starters showcase some gorgeous seafood options, such as Bass Strait Scallops with red radish, smoked chilli mayo and kaitafi or the beautifully presented smoked Ocean Trout with with capers, egg yolk, parsley and horseradish. 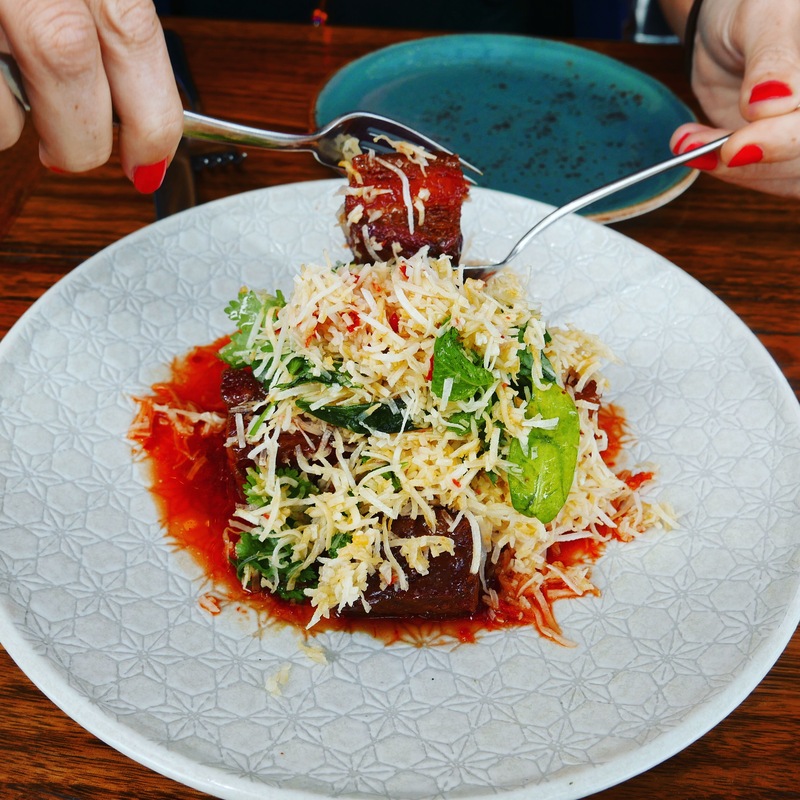 The stand-out starter is the famous candied pork with coconut salad and nam jim, a colourful dish that dances with your tastebuds and works so well texturally with the crispy, sticky pork and the crunch of the coconut salad. 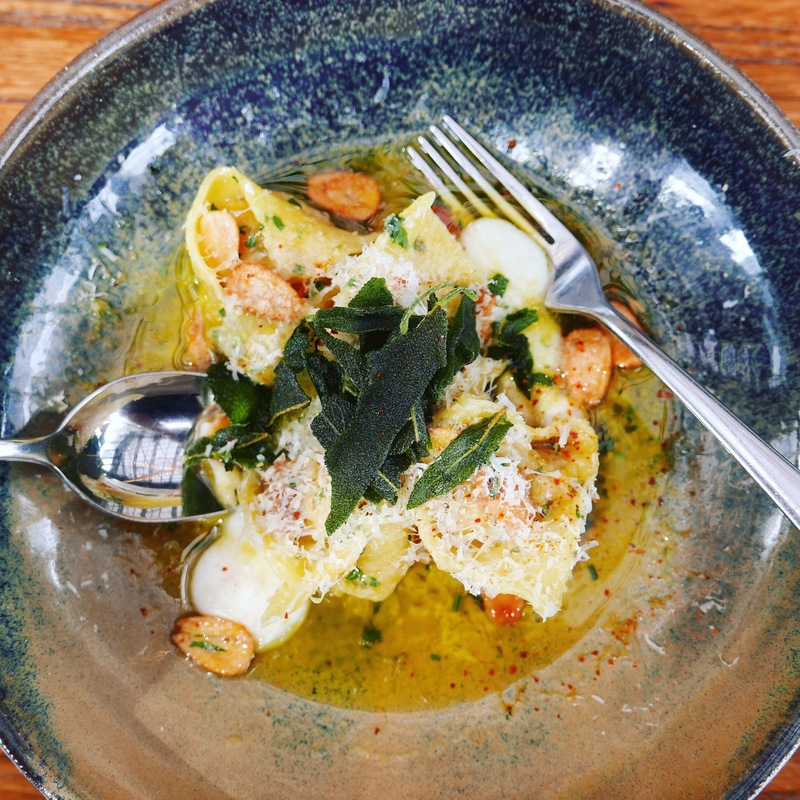 The pumpkin and almond tortellini with buttermilk puree and crispy sage is a vegetarian or pasta lovers dream. The soft, perfectly cooked pasta pillows work so well with the zesty lemon sauce and crunch of the almonds and crispy sage. There are many great sharing options for mains also, such as Szechuan Duck or Slow Roast Lamb Shoulder. The desserts are also not to be missed. 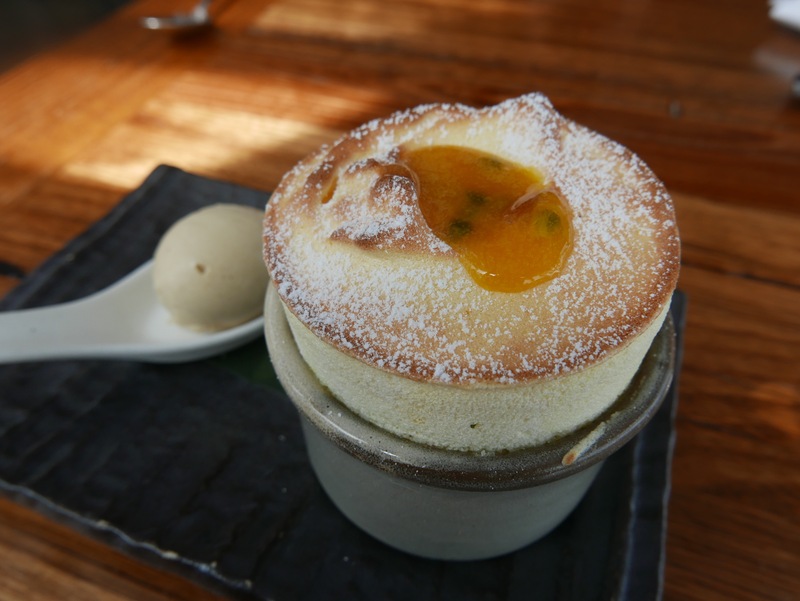 The Passionfruit Souffle with caramelized white chocolate and banana ice cream is a tropical delight, while the decadent dark chocolate parfait with macadamia nut and honeycomb crumble and violet ice cream is a must for chocolate lovers. 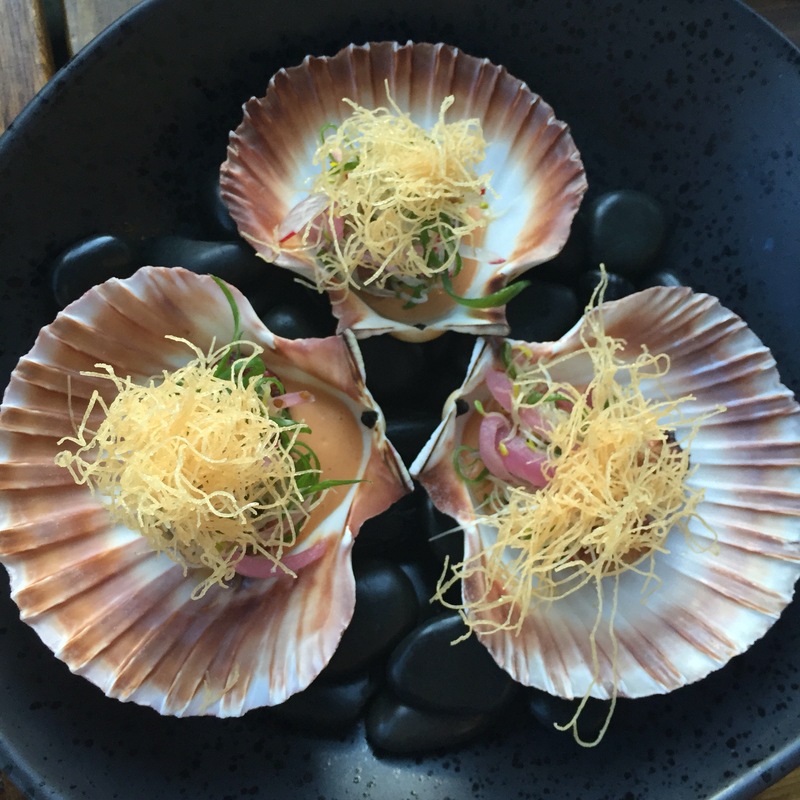 Taxi Kitchen is the perfect spot for affordable, fun, fine-dining with a stunning view of Melbourne. Please note: Foodie Melbourne dined as a guest of AMPR and Taxi Kitchen, but all opinions are authentic.